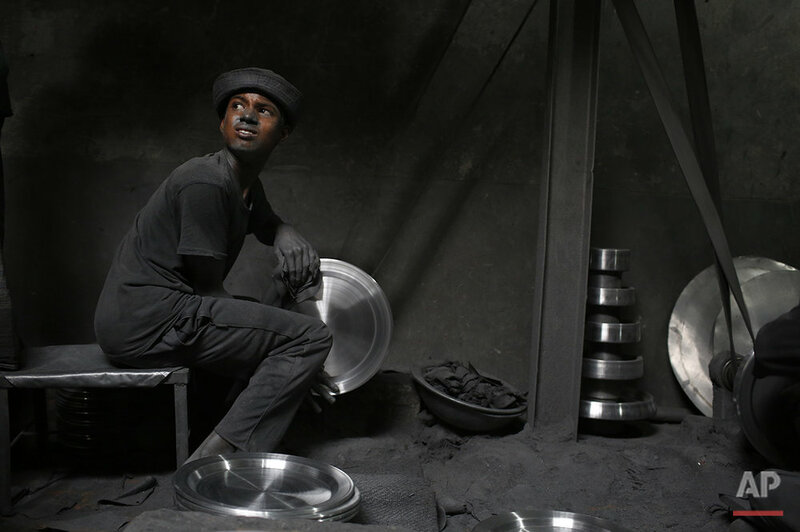 Eleven-year-old Al Amin and his friends work 10 hours a day, six days a week, sawing aluminum sheets and pounding them into bowls and plates. They need the few dollars a day they make to keep eating and support their families in the slums of Bangladesh's jam-packed capital, Dhaka. 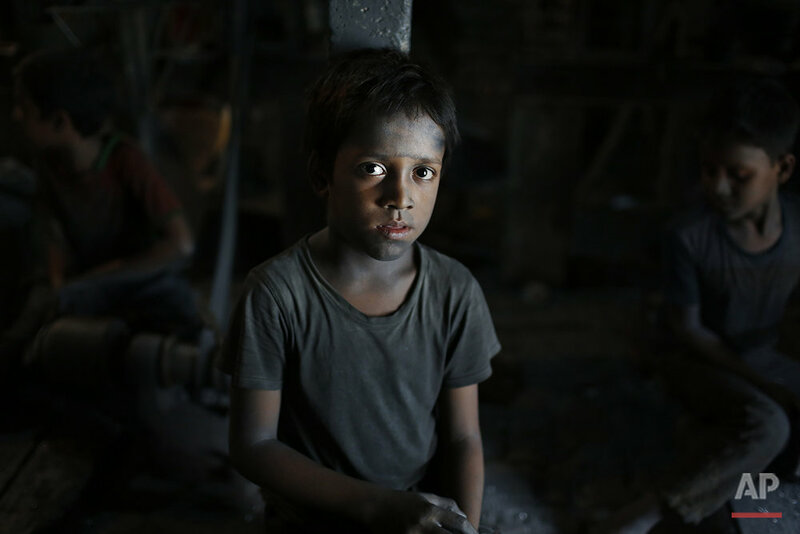 "I love to study in school," Al Amin said, covered in the fine metal dust he has been breathing while working without protective gear in one of the dozens of aluminum factories clustered in the city's Kamrangirchar neighborhood. "But my father died, and I had no choice. I must work." Al Amin's story is hardly unique. 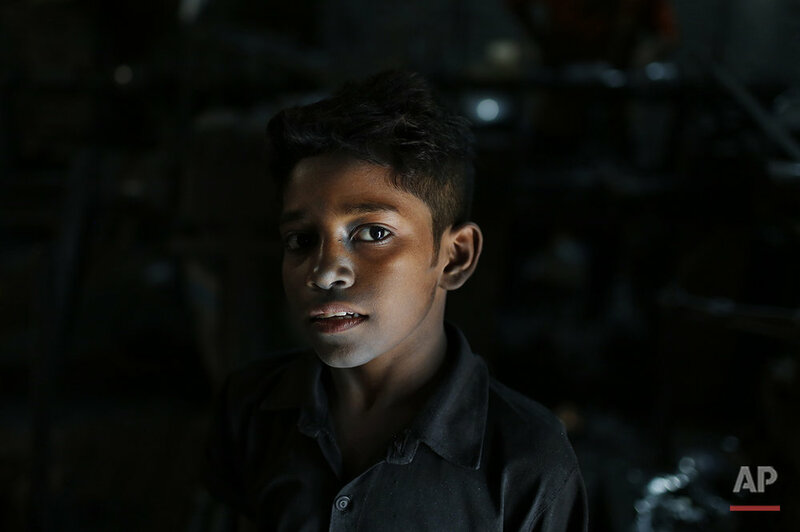 Some 4.7 million children below the country's legal working age of 14 spend their days as restaurant servers, ticket collectors on public buses, construction workers, or laborers in garment factories and other hazardous industries, according to UNICEF. Many are forced to work to send money to their families who are struggling to maintain farms outside the city. Some must work to help pay medical bills for an ailing parent. And some just need a job to get by in the slums of Dhaka, after fleeing flooded villages in the low-lying delta nation. Worldwide, an estimated 168 million children aged 5-17 are working in dozens of countries, according to the International Labor Organization. The U.N. agency says many of those children, while working in informal sectors out of the sight of authorities, produce materials and products that are ultimately sold on the world market. 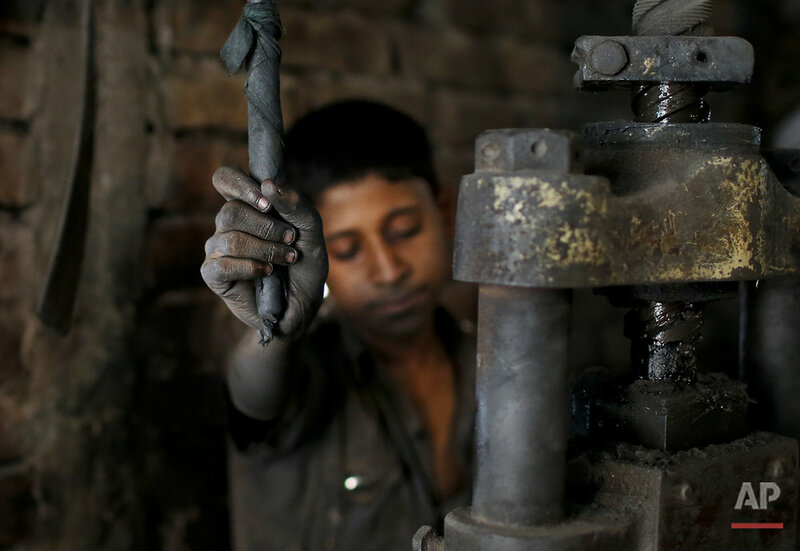 "Child labor has no place in well-functioning and well-regulated markets, or in any supply chain," ILO Director-General Guy Ryder said in a statement Sunday, the U.N.'s World Day against Child Labor. Largely a product of persistent poverty worldwide, child labor came into sharp focus two years ago when the Nobel Peace Prize was awarded to children's rights activists Malala Yousef from Pakistan and Kailash Satyarthi of India. Text from the AP news story, AP PHOTOS: Poor Bangladesh kids work to eat, help families, by A.M. Ahad.